Oratory and Political Career in the Late Roman Republic is a pioneering investigation into political life in the late Roman Republic. 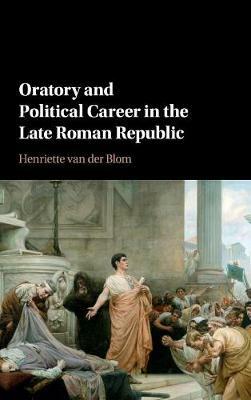 It explores the nature and extent to which Roman politicians embraced oratorical performances as part of their political career and how such performances influenced the careers of individual orators such as Gaius Gracchus, Pompeius Magnus, and Julius Caesar. Through six case studies, this book presents a complex and multifaceted picture of how Roman politicians employed oratory to articulate their personal and political agendas, to present themselves to a public obsessed with individual achievement, and ultimately to promote their individual careers. By dealing specifically with orators other than Cicero, this study offers much-needed alternatives to our understanding of public oratory in Rome. Moreover, the assessment of the impact of public speeches on the development of political careers provides new perspectives on the hotly debated nature of republican political culture.